Have you recently installed Avast or any other Anti-virus software? Avast mail shield is known to cause issues with e-mail. Please uninstall or disable Avast while checking your e-mail. Please verify that Authentication on your SMTP server is set for Password, and you have typed your password on the password field. 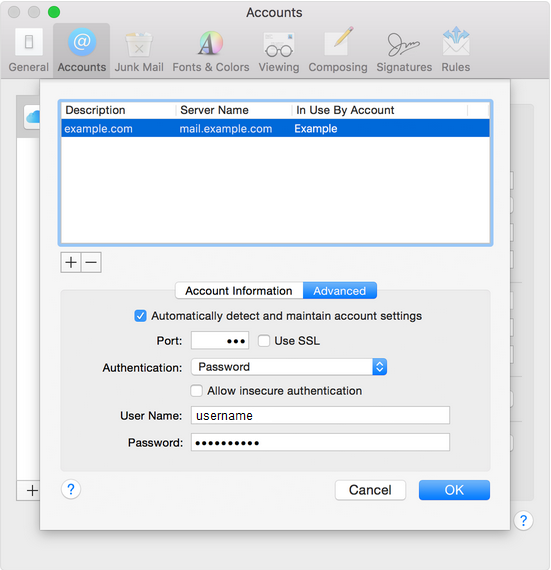 Make sure that the account’s SMTP server is selected in the list. © 2019 - Bway.net. All rights reserved.